When I made a baby blanket for my newest nephew, Atharv, his mother immediately asked me if I can make a newborn sized sweater to go with the blanket. Finding newborn size clothes that fit is hard enough and dear Atharv was a bit underweight at birth, so finding a good fitting cardigan for him was even more difficult. Atharv’s mother liked the soft green color and wanted a sweater in the same one. I had this idea for a baby cardigan from a long time and realized if I don’t get around to making it now, then it will never get done. I like the simplicity and usefulness of raglan cardigans: top-down, seamless construction, try it on as you go, easy to modify length if need be. I added a wide border of ringlet stitch, a stitch pattern from Barbara Walker’s Treasury, to compliment the plain stockinette body. And that is how Just Hatched came into existence. 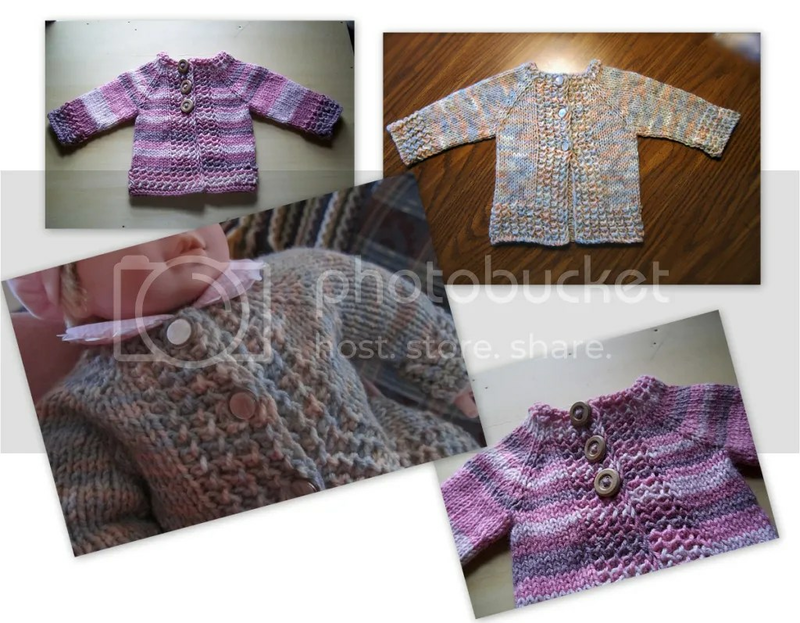 Ravelry Pattern: Just Hatched by Anjali M.
This will make such an adorable baby shower gift! Cute pattern, wow you’re churning them out so quick! Bravo! !